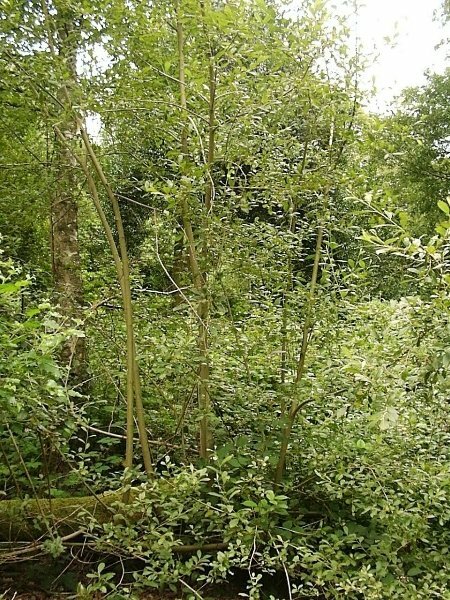 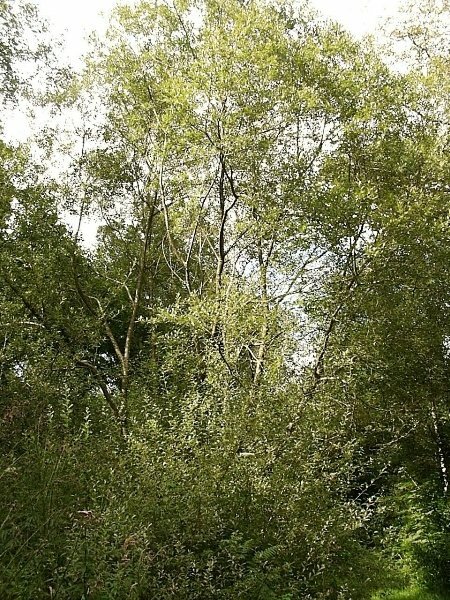 Normally grows as a sizeable bush but occasionally reaches 10 metres as a small tree. 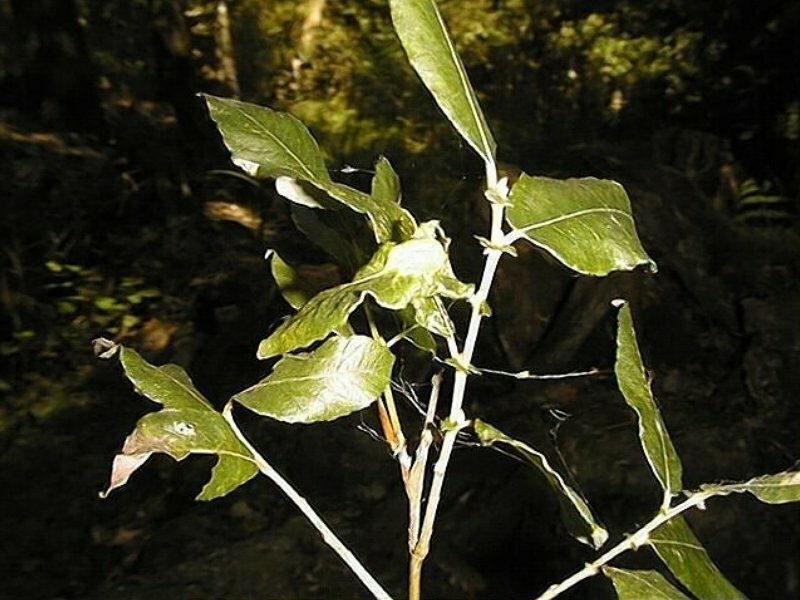 It has smooth bark and twigs. 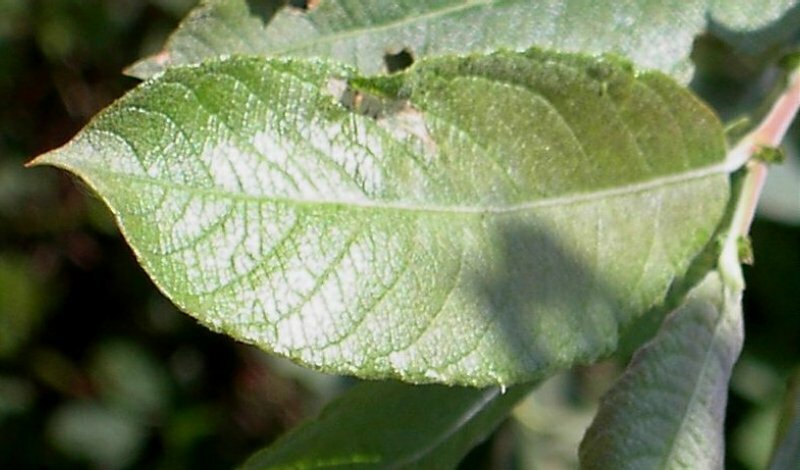 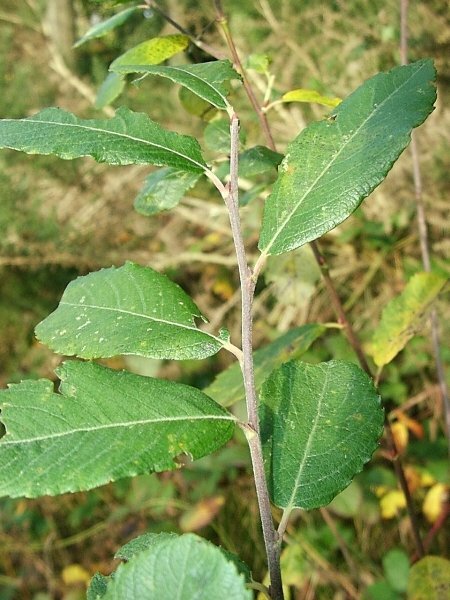 The leaves are quite rounded, with the length being less than twice the width. 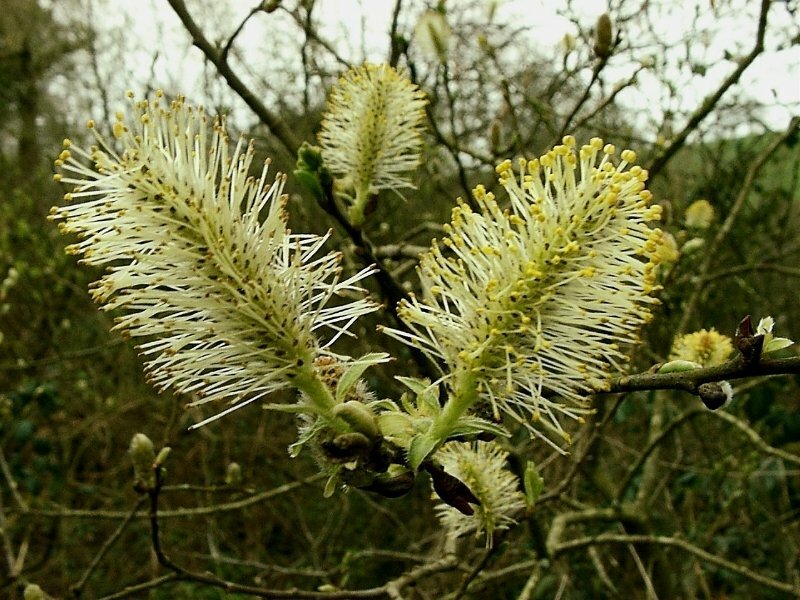 In Spring, male trees are quite stunning with their display of bright yellow catkins. 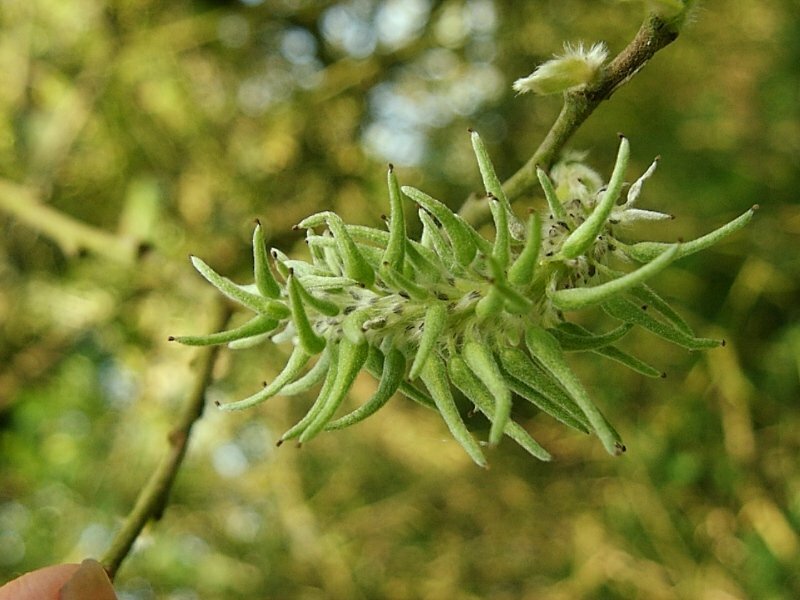 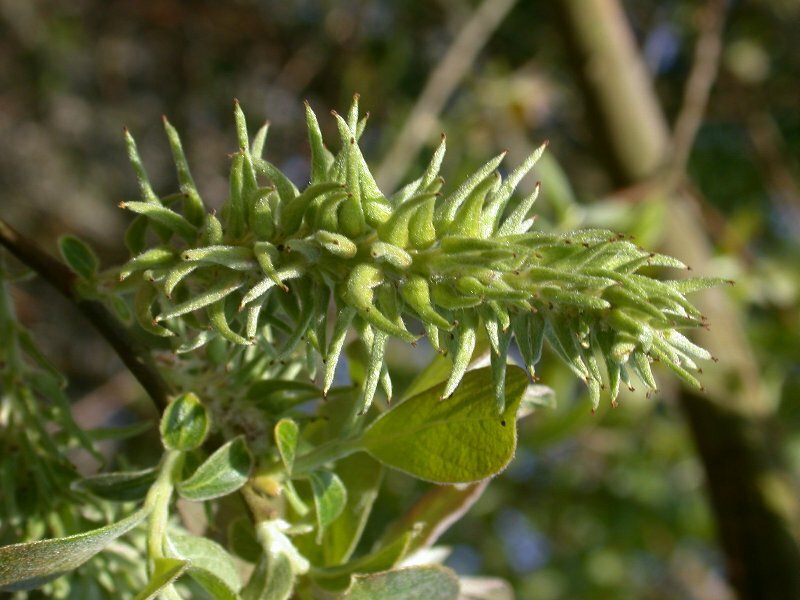 The female tree's catkins develop cottony seeds which are released into the wind during May.